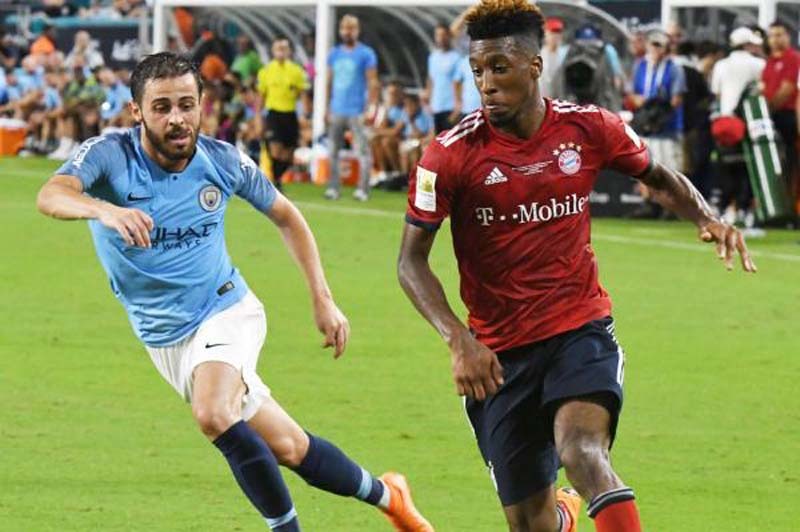 Portuguese striker Bernardo Silva scored two sensational goals, leading Manchester City to a 3-2 win against Bayern Munich at the International Champions Cup on Saturday at Hard Rock Stadium in Miami Gardens. [post_ads]"The difference was in the boxes," City manager Pep Guardiola said. "In the boxes they were so good. These kind of players, they are talented, but I don't think it was quite different in the first and second half. In the first half I give credit that we were down 2-0, but we were never 'down.'"